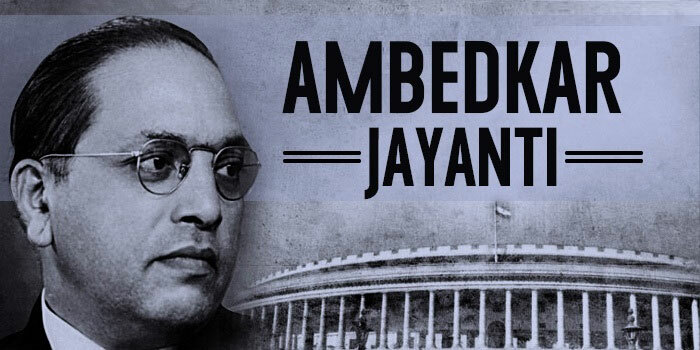 With Dalit politics taking a centre stage in this most-populated state of the country, all major political parties are gearing up to celebrate the 127th Birth Anniversary of Dr Baba Saheb Bhim Rao Ambedkar, with an aim to project themselves as the true saviour of Dalits. Parties like the BJP, BSP, SP and Congress have issued directives to their respective party leaders to organise functions at the district level. BJP has gone a step ahead and announced that seminars and Shobha Yatras will be taken out at the block level, where people will be given information about the policies of Dr Ambedkar. This is probably the first time that the political parties have shown such a zeal in celebrating Dr Ambedkar’s birth anniversary. Only BSP used to organise a function at the State Capital, to be addressed by party chief Mayawati. The celebration at Congress and BJP offices was reduced to just a token, where pictures of Dr Ambedkar were garlanded by the party leaders. SP has never celebrated Ambedkar’s birth anniversary with such a gusto, as it is doing this time. The changed political equation probably made SP leadership to go for a huge celebration this year. While SP and BSP wish to contest the next Lok Sabha elections as alliance partners, SP national president Akhilesh Yadav wants to keep the Dalits in good humour and thus, the changed strategy. SP Spokesman Rajendra Chaudhury said the leaders at the district level will celebrate Dr Ambedkar’s birth anniversary in style. In some places, they are asked to invite Dalit thinkers and get them deliver speeches on the life and ideology of Dr Ambedkar. BJP’s youth wing Bharatiya Janata Yuva Morcha will take out Shobha Yatra across the state. BYJM state President Subhash Yaduvansh said the workers will take out 5-10 km long yatra and also honour 10 Dalit thinkers. Chief Minister Yogi Adityanath and SP chief Akhilesh have issued greetings a day before Dr Ambedkar’s birth anniversary, while BSP has put up banners, hoardings and festoons from Kalidas Marg crossing to Samata Mulak Chauraha. Leaders of all prominent parties will garland the statue of Dr Ambedkar at Hazratganj, while BSP leaders will organise meetings at Samata Mulak Chauraha. Keeping in view the growing tension and reports of damage of Dr Ambedkar’s statues, security has been intensified across the state. District officials have been asked to ensure safety of statues of Dr Ambedkar.